Bean lives across the street from Ivy, and she wants nothing to do with her. Ivy seemed like such a nice girl, and to Bean, nice is a synonym for boring. Ivy sits quietly on her front steps, her curly red hair neatly held back by a headband. She always wears a dress and reads big books. Bean is the opposite. She zips around her yard and her short dark hair will hold no headband. Bean wears a dress only at her mother's insistence, and reading makes her jumpy. So what could possibly cause these two opposites to become friends? Desperation. When Bean faces big trouble with her mother for numerous iniquities (borrowing money, lying, leaving the yard, and wiggling her behind at her sister, Nancy), Ivy gives her great advice. "Hide," she says. Ivy had been watching, amused, as Bean antagonized her sister, and now she was offering Bean a secret place to hide. Through the great escape and subsequent hiding out, Ivy and Bean's friendship begins. Ivy hopes to cast a witch's invisibility spell, but together they decide a dancing spell would be better, preferably cast on Nancy. Not that would help Bean get out of trouble or anything. 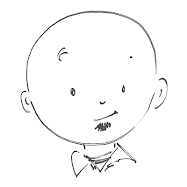 "But it would be really funny," explains Bean. Their plan doesn't initially involve a mud pit, an angry neighbor, an entire bucket of worms, or no dessert, but all end up in the plan, and Nancy does indeed end up dancing. 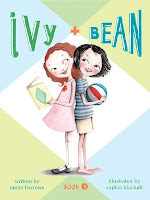 Ivy and Bean's friendship goes from nonexistent at the start of the day to "See you tomorrow!" "And the day after that."